It is the first newspaper purchase in over a decade that has shaken American journalism out of its sleepwalk to oblivion, and made the wires hum with something other than bad news. Has this changed the narrative of inevitable decline? A seriously successful son of the new economy has dropped a small amount of pocket change on a title of international significance, but uncertain outlook. Bezos is a man who can afford $42m to spend on a giant clock built inside a mountain – which, one might speculate, is a relatively safe investment compared with a newspaper that has recorded seven consecutive years of declining income. Not only has the way that people find and relate to media changed, but along with this has come a tectonic shift in the way advertising works: it has stopped being as much of a mass-audience game and become much more about targeting of specific groups or demographics. This latter shift is one of the core challenges that newspapers and other traditional media outlets have to face — and there is some acknowledgement of this in the letter Jeff Bezos wrote to Washington Postemployees. The New York Times’ David Carr wrote a reflective look at the newspaper’s era under the Graham Family. Carr’s piece focuses on the family legacy and the Grahams commitment to the newspaper. Perhaps the biggest surprise in the sale is that it happened under the watch of Donald Graham. All scions of industry do their time on the shop-room floor, but Mr. Graham had shown that he didn’t want to just inherit his enterprise, he wanted to earn it. He served in Vietnam and later joined the Washington police force to walk a beat before doing his stations in the Post newsroom and on the business side. He was perhaps not the legend that his mother was, but to many he represented a certain kind of stubborn belief that good newspapering was its own end. In the popular imagination, journalism reached its highest and best calling during Watergate, when The Post and its determined owner, Ms. Graham, took on a sitting president. The idea that Mr. Graham would sell the paper, whatever merits the sale might entail, seemed as unlikely as Henry V giving up the crown. But on Monday, Mr. Graham seemed at peace with what he had done. In the Ottawa Citizen, Rob Woodbridge wrote in an Opinion piece that the Bezos purchase illustrated that newspapers remain a trusted brand, a natural place for emerging commerce – specifically in a mobile environment. When you put a newspaper into more than 450,000 households and places of business each weekday and 659,000 of them on Sundays, the audience is waiting. Combine this audience with an understanding of the coming mobile commerce wave, you see opportunity. This is where Bezos comes in. Amazon gets commerce. Amazon gets mobile. Amazon is about to combine the two into a mass-distributed, mobile commerce-enabled vehicle called the modern newspaper. In addition to the Bell piece, The Guardian had at least two more pieces dedicated to the Post purchase. The point here is the one that will be missed by most journalists writing about their business from an inevitably nostalgic view. This really isn’t an ego purchase, a rich man’s hobby, or folly. This is, at the prices to which newspaper have fallen, pure opportunism. This is a new business. Realizing that, and understanding that they can’t possibly compete, old owners will now rush to the exit, with even less hope of getting anything than they had before. New potential owners, conscious that a historical transformation is finally in progress, and that a power shift is occurring, are going to look to stake their ground. It all begins today. Finally. The Guardian’s Roy Greenslade offered some thoughts on what Bezos should do with the news organization. 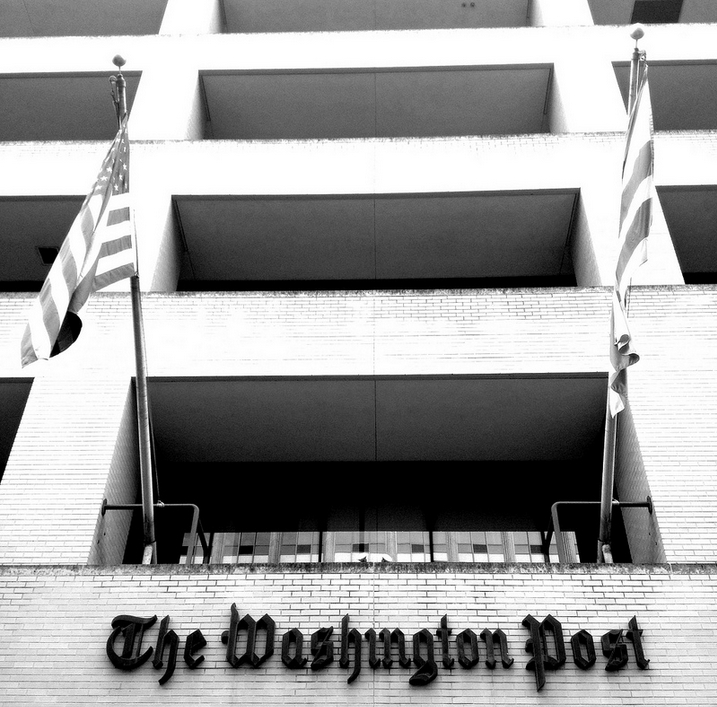 In a post titled ‘What Jeff Bezos could, and should, do with the Washington Post,’ Greenslade said it’s impossible to believe that Bezos bought the Washington Post to turn a profit. There are already hopeful noises coming out of the corner of 15th and L about Bezos as owner, compared with other possibilities. He is promising independence. He is, for now, keeping the leadership team in place (let’s hope in particular that he keeps editor Marty Baron, under whose leadership the paper has been doing some notably hard-edged and influential journalism). His politics are not visibly objectionable. But let’s not kid ourselves here: The company that made him one of the richest men in the world has had a less than benign impact on our nation. It has devastated the publishing industry, from the big presses to the small booksellers. It has exacerbated the growth of the low-wage economy, to the point where the president feels the need to celebratean increase in warehouse jobs that will pay barely more than minimum wage. Got a piece I should have included here? Let me, I’d love to add to this list.